“What’s wrong with that bag?” said the custom’s official. Bristol airport, 2016. I was travelling with two colleagues. Unfortunately, one had brought coil building equipment. As you’ll see later on, it was the beginning of a near disaster! Suffice to say, travelling can be tricky for vapers. 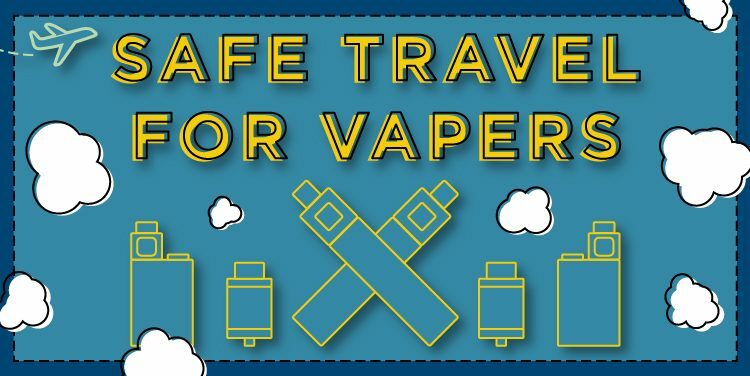 Our extensive experiences (and occasional mishaps) inspired us to create this Vape Travel infographic to help you have a safe trip. For more info, including a break down of the regulations across the world, see our full guide to travelling with e-cigs. A good place to start before you go is our country guide to vaping. At the time of writing, we have just updated the guide – but regulations can change rapidly, so do as much research as possible to ensure that the country you are visiting is vape friendly. Can You Use a Vape Anywhere? Hmmm, Places to Avoid! I’ll be visiting Thailand later this month, but I won’t be taking my vape. A number of people have had problems vaping in Thailand, and some people have reported having to pay fines/bribes. Other people have had spent time in prisons, and at least one vaper is stuck in Thailand pending a court case. With a potential penalty of ten years in prison, it’s just not worth the risk. Are You Allowed to Vape at the Airport? Unfortunately, most airports treat vaping in the same way as they do smoking. That means you’re usually confined to vaping in smoking areas. Do be careful, though – as highlighted both in the infographic and our travel guide, some countries don’t allow any vaping – even in smoking lounges! As mentioned in the beginning of the blog post, one of my friends bought coil building equipment on a business trip abroad. We’re talking wire, pliers, resistance meters – the works. Unfortunately, it really does look similar to bomb building equipment in an airport scanner! We had to wait an excruciating hour while my colleague’s bag were meticulously searched. After a run through the airport, we made our flight with seconds to spare! It’s also well worth mentioning that changes in air pressure can cause tanks to leak (again, a lesson learnt from personal experience!) so do empty tanks before flying. Ever walked down an aisle only to feel your face glow as you realise an e-liquid stain spreading around your crotch? That’s what can happen (and has happened to one member of our team) when you don’t empty a tank before flying. That’s because of the change in air-pressure, which can force e-liquid out of your tank. While most people have heard about vaping, attitudes can vary. In the UK we’ve been blessed by two public health campaigns, which have gone some way to educating people about the benefits of vapers, but in many countries all people will have seen are the results of anti-vaping pr campaigns. So it’s always best to play safe, and ask before you vape. And if you’re travelling to a very remote areas, people can still be taken aback by a technology they’ve never seen before – be prepared for some surprised looks! In the EU 10ml e-liquid has to be tested by law. 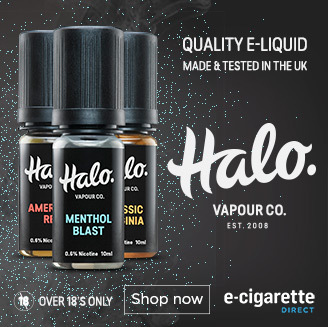 In the UK, the best suppliers produce really good quality e-liquid, and research has made great strides in identifying and eliminating potentially harmful compounds. Not all countries share these strict regulations, so if you are traveling to a country where the vape industry is not regulated, it may be worth taking enough e-liquid to last you throughout your trip. Don’t vape on the plane! Have you got any great vape travel stories? Let us know in the comments! Anyone know the situation in Guyana? Have emailed the embassy but have had no reply. That’s one I’m not sure of, I’m afraid! Thanks a lot for sharing your tips for the frequent travelers. You have an amazing blog all the information is very helpful.